Sounds can evoke strong memories or associations, and VisitBritain is hoping to harness this power with it’s new sound-based ad campaign. The £2.5 million TV and online ad campaign features the ‘sounds’ of Britain. These will include the pouring of a cup of tea, a black cap beeping and, of course, the chimes of Big Ben. It’s been launched across key tourism markets: USA, Brazil, China, India, Gulf states, and throughout Europe. The digital version will allow users to customise their own advert and itinerary set to the ‘sounds’ of Britain, and Rudimental’s song ‘Feel the Love’. They can also share the result with friends via Facebook and Twitter. Joss Croft, marketing director at VisitBritain said: “We want to involve people in creating their own British experience – first online where they can become the director of their own bespoke tourism ad, and then in reality following their individual journey across Britain according to their own interests and inspirations. If you’re visiting the UK, make sure to include Holiday Cottages in your Great British holiday plan! VisitBritain is setting its sights on American tourists over the next couple of years. The national tourism agency has signed a joint marketing deal with one of the largest US travel companies in order to promote travel to the UK. VisitBritain said the deal with The Travel Corporation was the “largest agreement of its kind for VisitBritain in the US market to date”. 3.5 million travellers from North America visited the UK between December 2012 and November 2013. It hopes the marketing campaign, due to start in February, will help to increase this number to a target of 1 million more US and Canadian visitors a year by 2016. The main partnership activities will focus on culture, heritage and countryside themes, with multi-channel marketing targeting both the travel agency market and consumers. Record for Britain’s inbound pound! 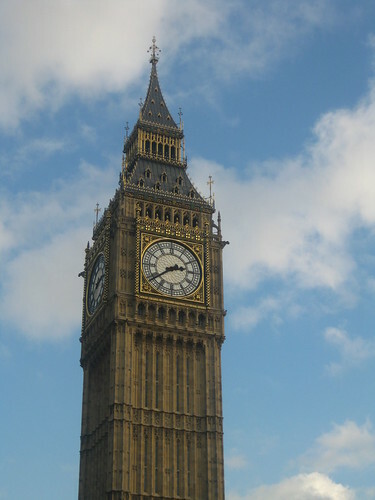 Britain is on course for a record inbound tourism spend in 2013, latest figures show. Results suggest Britain needs £700 million of tourist spend in December 2013 in order to hit a record £20bn total, a sum never before reached in one calendar year. According to VisitBritain, this will be “highly likely” as the average December spend has been around £1.3bn over the last five years. It also looks to have been a record breaker in other aspects of tourism, according to Office of National Statistics figures released this week. So far, Britain has already seen full year records broken when only counting counting the 11 months from January to November 2013. These include spend at £19.3 billion compared to £18.6 billion in 2012. 12.02 million holiday visits compared to 12.01 million in 2011; and 4.86 million rest of World visits versus 4.74 million in 2012. “For 2013 to be the best year in inbound history, we’d need to see a record December for visits, but it’s a certainty we’ll see record levels for spend,” said Sandie Dawe, VisitBritain chief executive. Christmas is proving to be a good time for domestic tourism as overnight trips this Christmas and New Year will generate £1.9bn for the UK economy. VisitEngland’s Trip Tracker survey reveals a whopping 20% of adult Brits (10.1m) will make an overnight trip in the UK, with 17% (8.6m) planning the trip in England, generating £1.6bn for England alone. 33.7m people will travel to see friends and family, 18.1m adults plan to go shopping in the sales after Christmas, and 7.5m will take part in other festive activities. According to VisitEngland, just 4% (2m) of Brits plan to travel abroad over the Christmas and New Year period. If you’re looking for a last minute Christmas break and a bargain, too, look at our Christmas Cottages blog post for recommendations. A 7.3% rise in visits to UK attractions took place between 2011 and 2012 according to a new report by international research company researchandmarkets.com. The increase is mainly down to a rise in attendance at free attractions such as museums and heritage sites, however expenditure on admissions was up almost 14%, but this was due mainly to increased ticket prices. The report said more amusements were “struggling to keep afloat” as visitors opted instead for free attractions to save money “due to the problematic economic conditions”. The UK ranks seventh in terms of international tourist arrivals in 2012, with events such as the Royal Wedding, the Queen’s Diamond Jubilee and the London 2012 Olympic and Paralympic Games increasing the country’s appeal. “Over the coming years, a return to economic stability should help to encourage consumers to spend more on leisure activities, such as visiting tourist attractions, including both paid-for and free institutions,” said the report. Last week we reported that that VisitBritain is in consultation over aims to increase inbound UK travel up to 40 million visitors by 2020. Since then, tourism bosses are reported to be urging the Government to relax tourist visas after a 5% drop in UK visitors in August. Figures for UK travel and tourism during August have just been released by the Office for National Statistics. Visitor spend was up 9% but compared to 2011, arrivals were down by 5%, leaving the total visits for the year to date at the same level as last year. The Olympic and Paralympic Games were a huge draw, as 590,000 overseas visitors indicated that they had come to attend ticked events, or were participating or working at the Games themselves. Visitors spent an average of £1,290 (total £760 million), which is almost double the usual amount they would normally be expected to spend. Sandie Dawe, chief executive at VisitBritain said: “The first six months of the year saw a record in terms of both the number of holiday arrivals and the amount of spend, and with August’s figures we are now at the same level as we were in 2011.